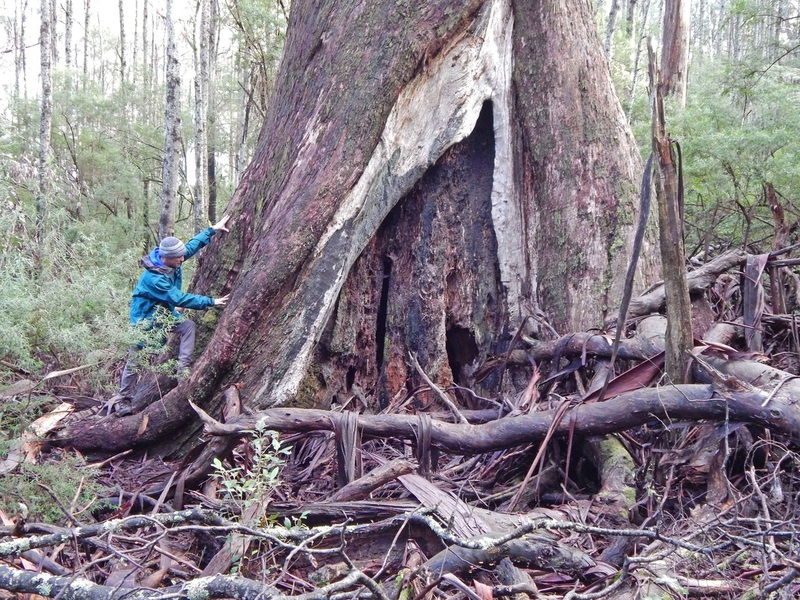 'Baroness Bertha', above, has a girth of 15m when measured at breast height. 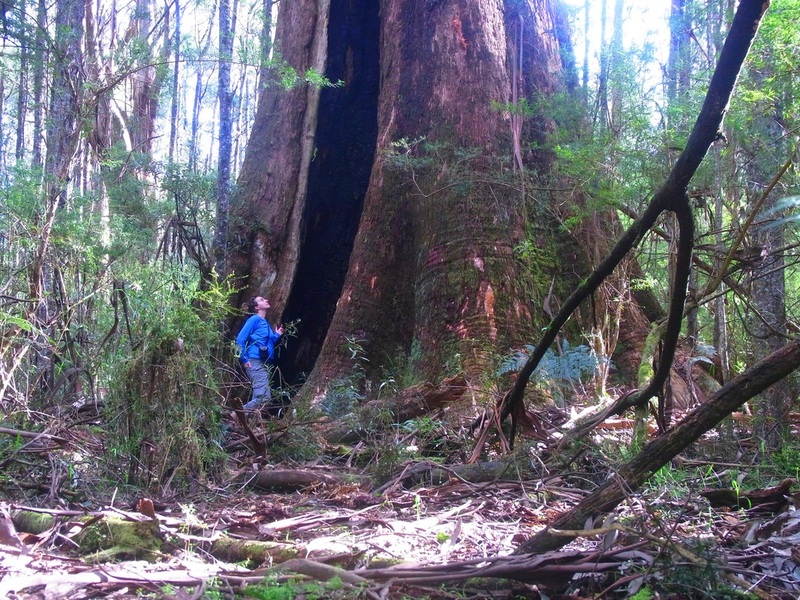 It also has a major fire scar which allows access to an open room in the centre of the tree. 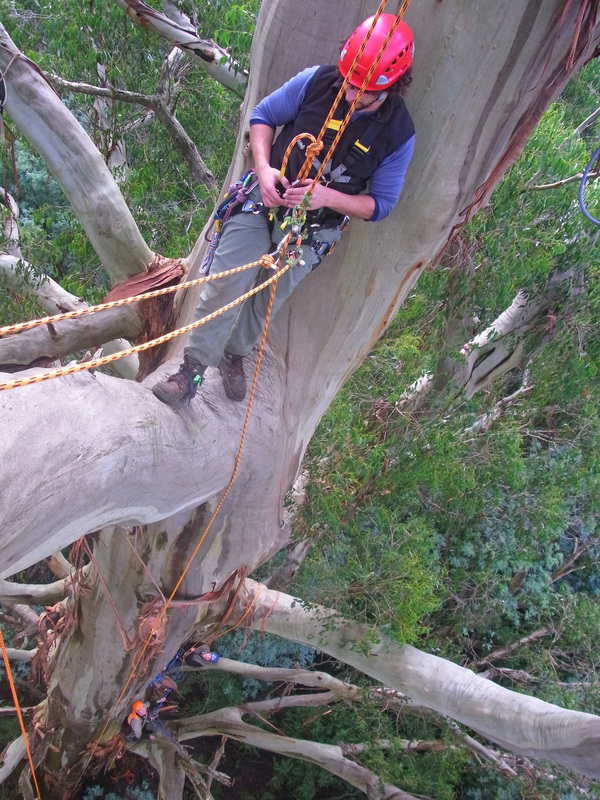 Below, the huge upper branches of Baroness Bertha are well illustrated in this shot taken about 50m up the trunk - with Grant (red helmet), Ewan (orange helmet) and Damien (blue helmet). 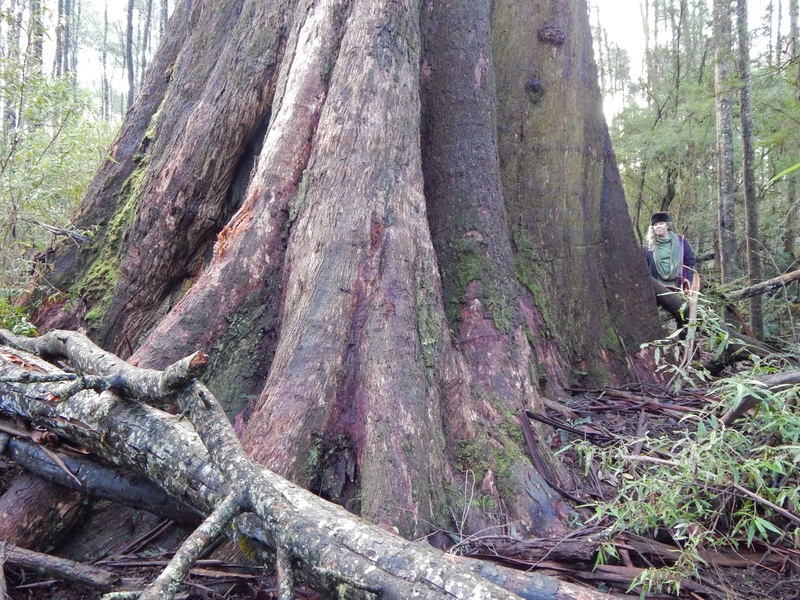 The' Ada tree', below, is an impressive 14.8m girth and 69m tall. 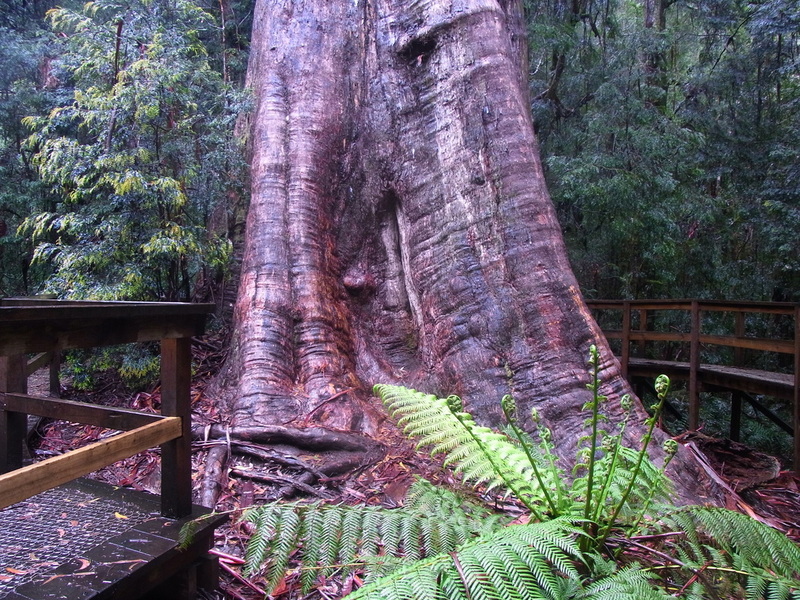 It is 25km from Powelltown and easily visited via a gentle track that meanders through rainforest and old growth eucalypts. 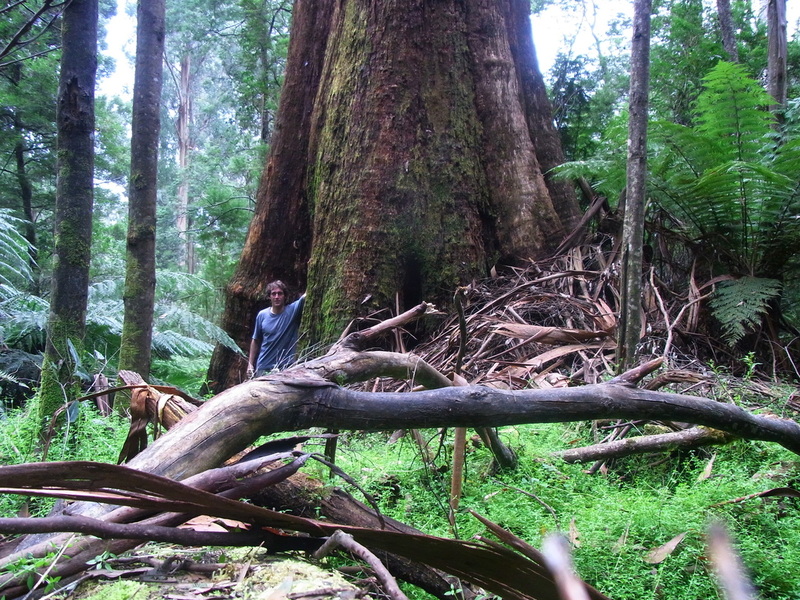 The Kobiolke giant (below) maintains a trunk that is over 2m thick well past the 30m mark. 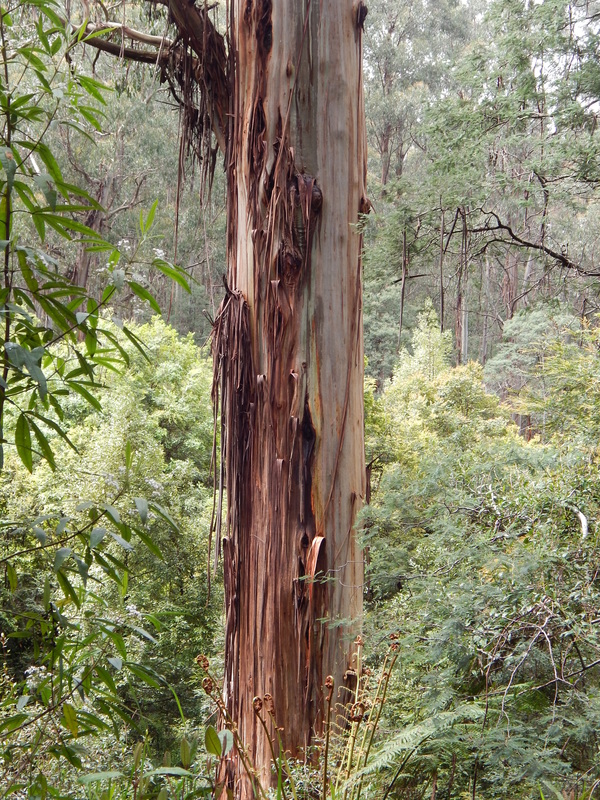 This tree can be seen with other majestic old trees off Kobilke road, south of Powelltown. 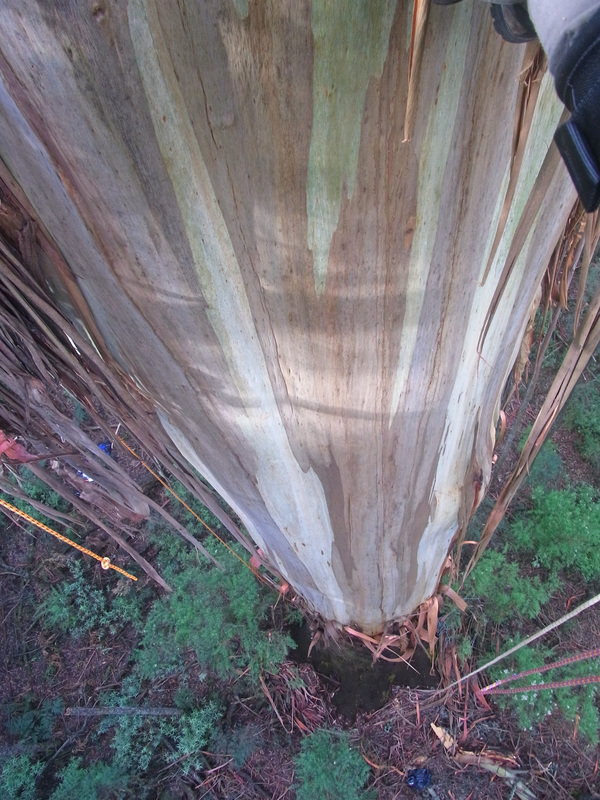 Looking down the trunk of 'Long John Silver' to the climber below, gives a different perspective of the size of these old growth mountain ash trees. 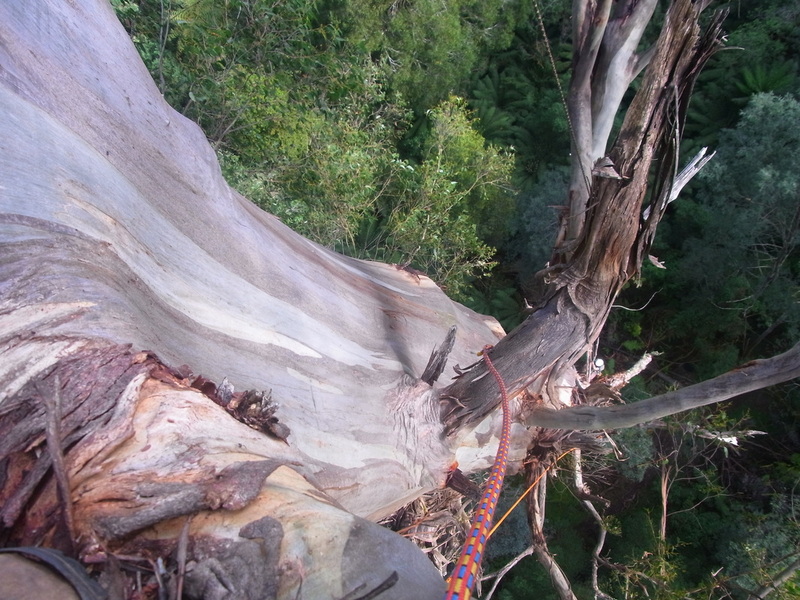 'Sniggles' (top) Snaggles' (middle photo) and 'Snuggles' (lowest photo) all exceed 12m girth and are three of the numerous giant old mountain ash trees growing on a broad, gently sloping ridge near Baroness Bertha.